Migration is a collaboration between Janine Antoni and Paul Ramirez Jonas. 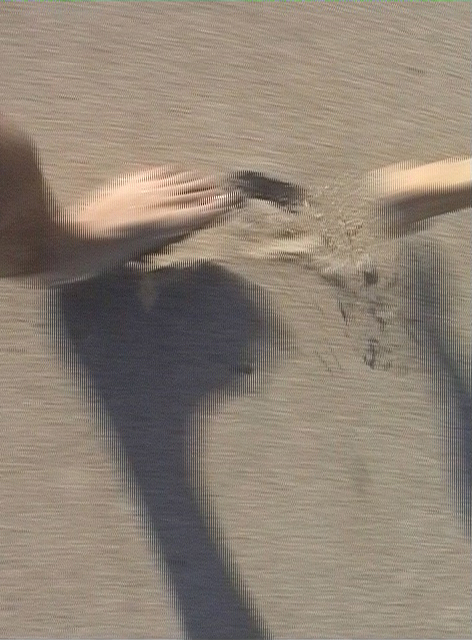 Playing the childhood game of follow-the-leader on a beach, the artists videotaped each other from behind as the follower records the leader. The videos simultaneously play out on two monitors turned on their side. 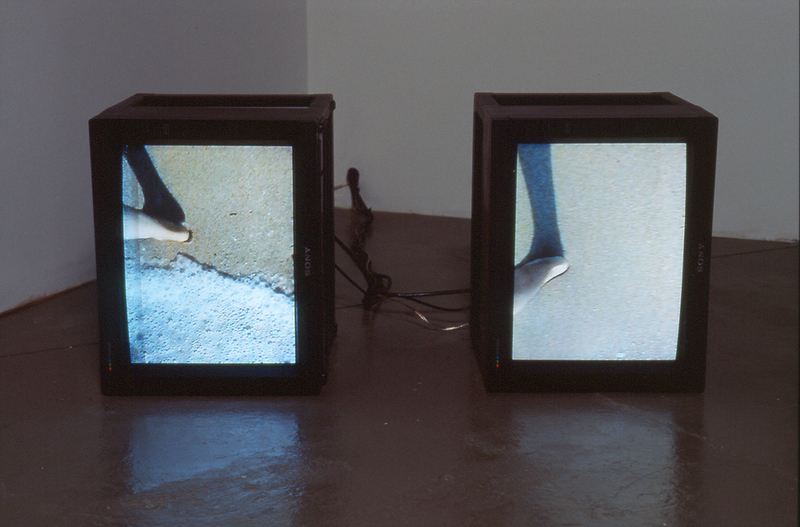 The monitors’ proximity fuses the two perspectives into one walk. 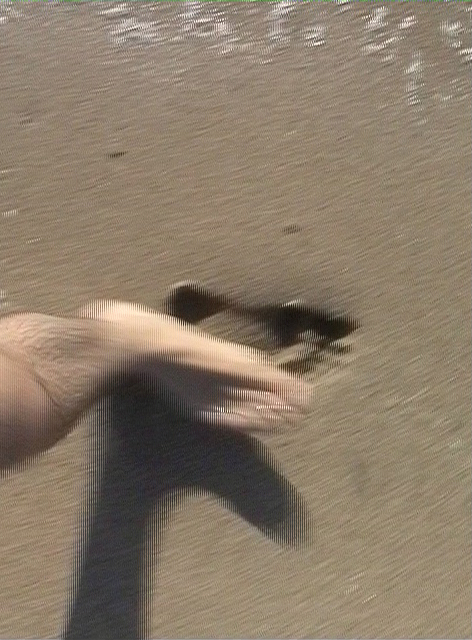 As the pursuer’s foot alters or erases the pursued’s footprint, it appears to step into the next monitor. Having traveled far from their home countries, the artists depict their movements as a series of steps where, at different times, one partner leads and the other follows. The actions within Migration speak to the dynamic and continuous negotiations that happen within a relationship.